Tottenham moved four points off the Premier League summit, while Chelsea bounced back to thrash Huddersfield 5-0 on Saturday. 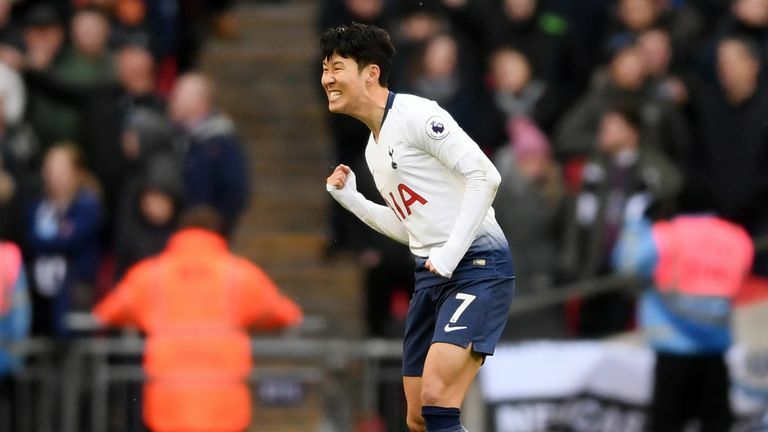 A late Heung-Min Son goal was enough to break down Newcastle's stubborn resistance at Wembley and move Tottenham into second place in the Premier League. Manchester City have the chance to retake the runners-up spot when they host Arsenal on Sunday, while Liverpool play on Monday night. Both games are live on Sky Sports. Newcastle had beaten City in midweek but could make lightning strike twice, and were lucky to stay ahead early on as Lucas Moura missed a good chance and Erik Lamela later hit the woodwork. At the other end, after half-time, Salomon Rondon also nodded against the far post, as Newcastle eyed the chance to move further away from the bottom three, but the hosts' pressure told late on. They had already been denied again when Christian Eriksen's flick was cleared off the line by Fabian Schar, but Martin Dubravka had a moment to forget late on when he let Son's simple shot straight under his body for what would prove the only goal. 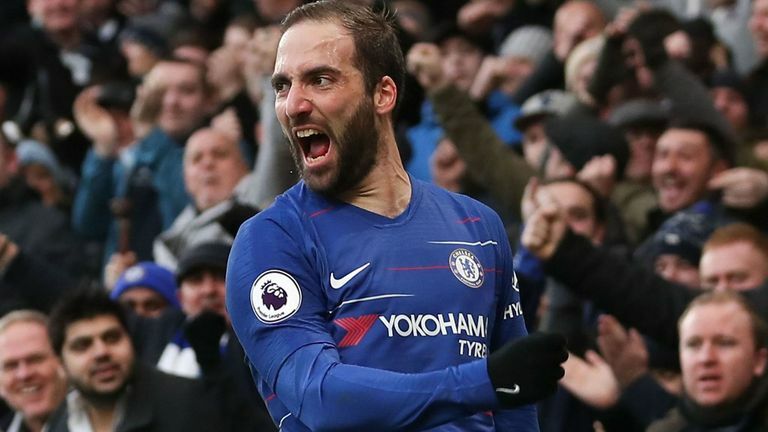 Chelsea bounced back from their hammering at Bournemouth by dishing out a thrashing of their own as they beat Huddersfield 5-0 at Stamford Bridge, with Gonzalo Higuain's double getting him off the mark for his new club. N'Golo Kante's disguised pass found the Argentine in his first home league start and he beat Jonas Lossl at his near post to open the scoring 16 minutes in. Eden Hazard doubled the lead from the spot after Cesar Azpilicueta was fouled just inside the area, and he added his second of the day after rounding Lossl in the second half. Higuain doubled his money with a deflected second from just outside the area, before David Luiz headed in from a corner to round off the scoring with four minutes to go. Crystal Palace pulled away from the relegation zone with a comfortable 2-0 win over Fulham at Selhurst Park, which leaves the visitors deep in the mire and seven points from safety. And Claudio Ranieri's side could blame no one but themselves after Cyrus Christie gave away a needless penalty for handball 25 minutes in, and Luka Milivojevic fired in from the penalty spot. Debutant Michy Batshuayi had to settle for a role as a second-half substitute but his impact was instant, and his parried shot allowed Jeffrey Schlupp to add a second late on and move Palace 14th. Southampton could have eased their own relegation worries but conceded a 94th-minute equaliser from the penalty spot to draw 1-1 at Burnley. Danny Ings wasted a fine early chance for the visitors but they took the lead 10 minutes after half-time with a superb long-range effort, but the hosts, who themselves came into the game four points outside the bottom three, refused to go down without a fight. 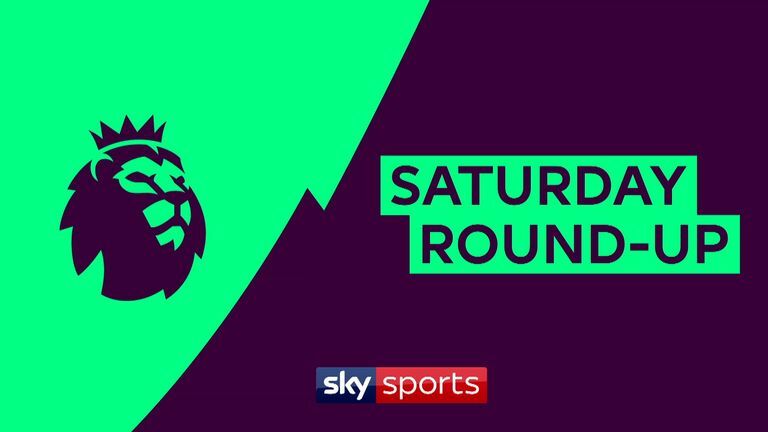 They dominated the final stages and levelled when Jack Stephens handled to give Burnley a first penalty in nearly two years, and Ashley Barnes beat Alex McCarthy from 12 yards. The pressure began to rise on Everton manager Marco Silva after his side were convincingly beaten 3-1 by Wolves at Goodison Park, leaving them five points behind their visitors. 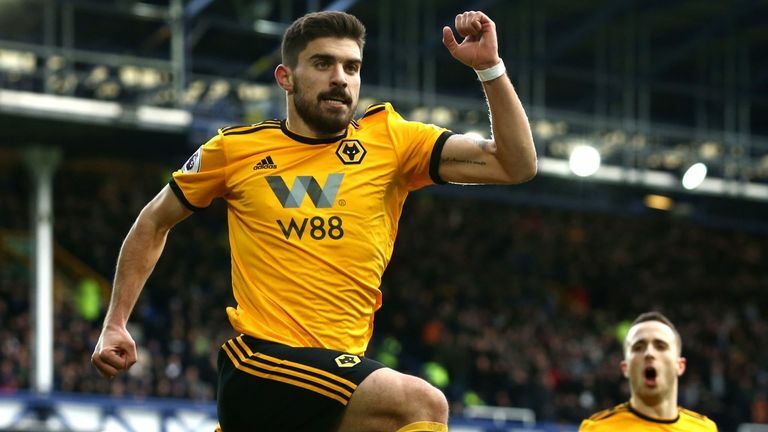 Ruben Neves fired Wolves ahead from the penalty spot after Leighton Baines fouled Diego Jota, but Everton levelled courtesy of Andre Gomes' first goal since his summer arrival from Barcelona. Raul Jimenez put the visitors back ahead on the stroke of half-time and Leander Dendoncker netted his debut Wolves goal to confirm an eighth win in their last 12 games to stay seventh. Cardiff were 2-0 winners over Bournemouth in the late kick-off at an emotional Cardiff City Stadium, in the hosts' first home game since new signing Emiliano Sala went missing last week. They were given a gift by Bournemouth defender Steve Cook who handled Josh Murphy's cross, and Bobby Reid fired down the middle from 12 yards. Within 15 seconds of the second half starting they doubled their advantage with Reid the scorer again, as he latched onto Aron Gunnarsson's pass in behind, beating the offside trap before pacing past Artur Boruc and scoring. Elsewhere, Watford were indebted to Ben Foster's goalkeeping prowess to earn a 0-0 draw at Brighton, after his two fine saves to keep the hosts' Jurgen Locadia at bay.